Alfie Fleet is off on an adventure beyond his wildest dreams. From Brains-in-Jars World to the planet Outlandish, nowhere is too big, too small, or too bizarre to make its way into the Cosmic Atlas. But although Alfie loves to explore, he still needs to be home before his mum gets in from work, or there will be BIG trouble! 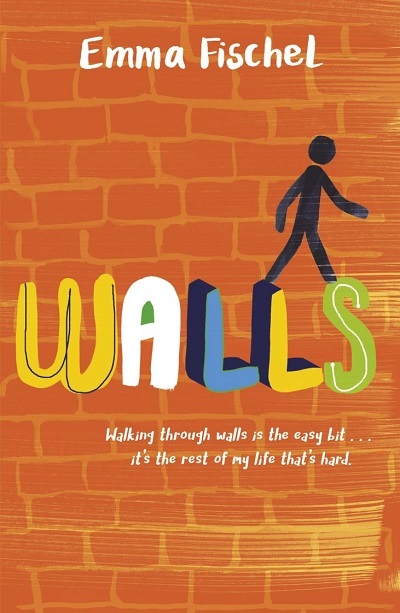 Funny books are a great way to engage reluctant readers, and with award-winning Chris Mould’s amazing illustrations, complete with maps and extracts from Alfie’s notebook, we’re certain they won’t be able to put this one down! 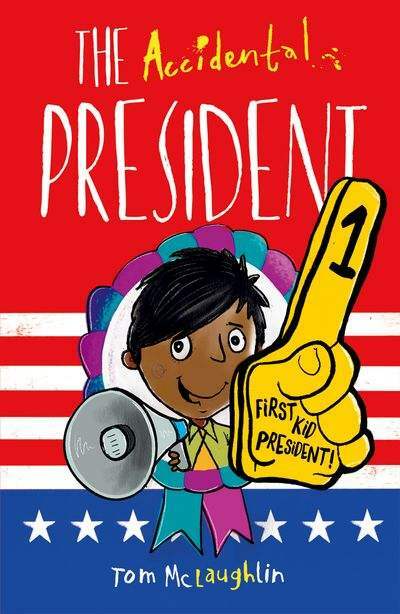 We guarantee giggles, but this is more than just funny fiction – this story does for travel guides and maps what Wimpy Kid did for diaries and Tom Gates did for doodle books. Get set for the Hitchhiker’s Guide to the Galaxy for kids! Have your idea included in the next book! 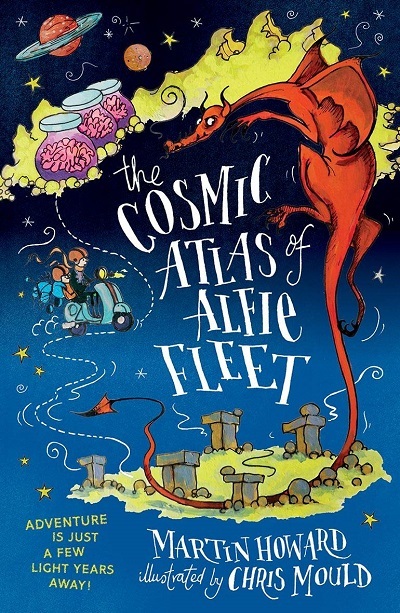 In The Cosmic Atlas of Alfie Fleet, Alfie goes on an intergalactic adventure, visiting Brains-in-Jars World, the planet Outlandish, and lots of other bizarre and beautiful places! To celebrate the book’s publication, we’re giving one lucky winner the chance to see their invented planet featured in the ‘Universal Travel Guide’ at the back of the next Cosmic Atlas book, out in March 2020. The winner will have their idea drawn by illustrator Chris Mould and will receive a signed book and print! UK residents only. Find full terms and conditions here. Martin Howard was a booky kid who grew up in Buckinghamshire, where he went to the same junior and secondary schools as Terry Pratchett (though quite a few years later). He worked in advertising and publishing for a while but in a Disneyesque fit of following his dream/reaching for the stars decided to become a full-time writer in 2005. Since then he has lost count of all the books he has written under his own and made-up names, but there are loads, including fiction and non-fiction for adults and children. He especially loves writing humour for kids and two of his children’s books are now in development with major movie studios. Martin lives with his wife, three children, a dog called Licky, and a poltergeist who keeps hiding his car keys. Chris Mould is an award-winning illustrator who went to art school at 16. A sublime draughtsman with a penchant for the gothic, he has illustrated the gamut from picture books and young fiction, to theatre posters and satirical cartoons for national newspapers. He lives in Yorkshire with his wife, has two grown-up daughters, and when he’s not drawing and writing, you’ll find him… actually, he’s never not drawing or writing. 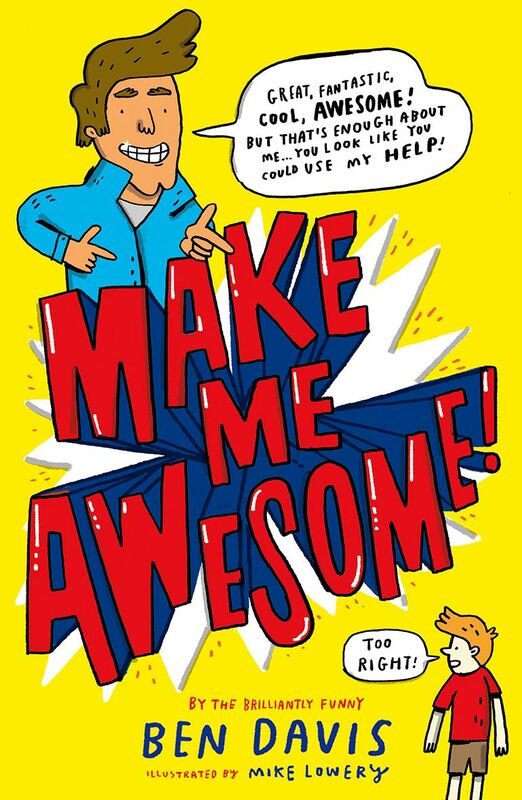 When Freddie Smallhouse signs up to the Make Me Awesome programme, he’s ready to turn himself from zero to hero, all with the help of his idol, Chuck Willard. Freddie embarks on various schemes to make himself awesome safe in the knowledge that Chuck is always there, at the end of an email, to give him lots of personal advice… isn’t he? 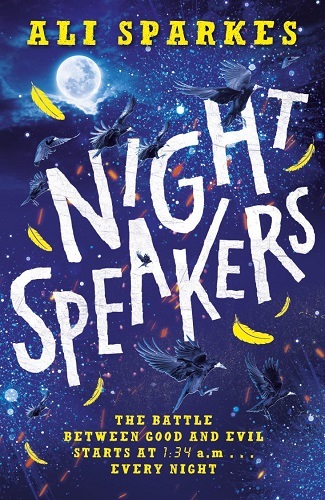 A laugh-out-loud story, from the brilliantly funny author of the Joe Cowley series.